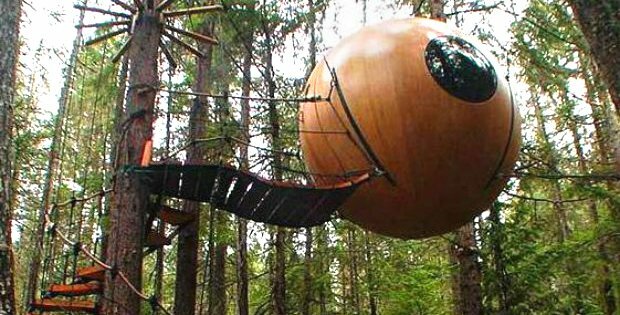 This peculiar spherical tree-house is suspended between two trees, and its unusual appearance makes it somehow more appealing than normal in a “what the heck?” head-tilting kind of way. 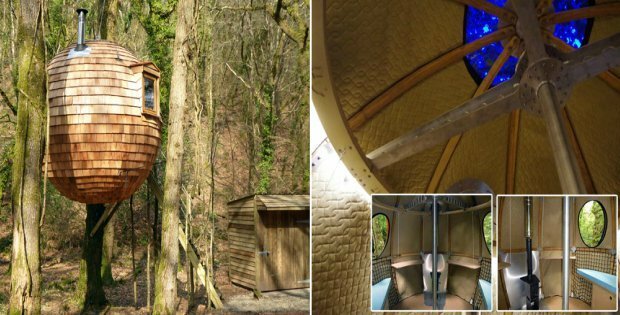 Although unlike other cabins, it has just one window through which you can look down. 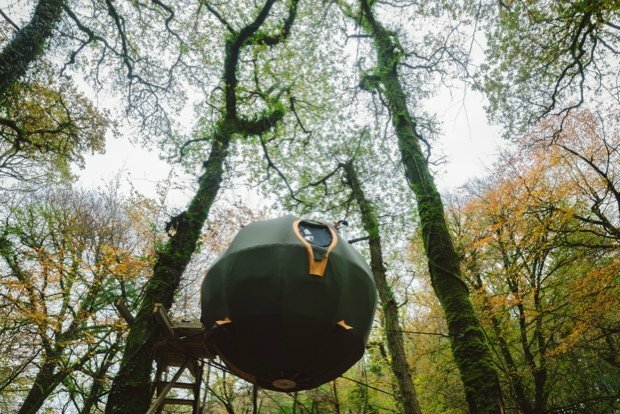 It’s spherical, it’s sustainable and it’s suspended from strong cables 3m above the ground, with a ceiling window to watch the stars at night. 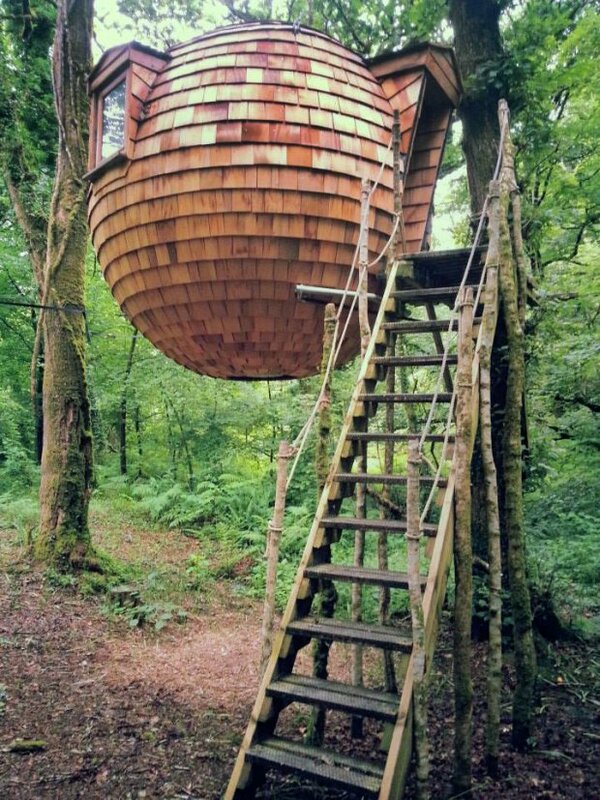 Scale a sturdy wooden staircase to reach your bedroom in the trees, with owls for company. 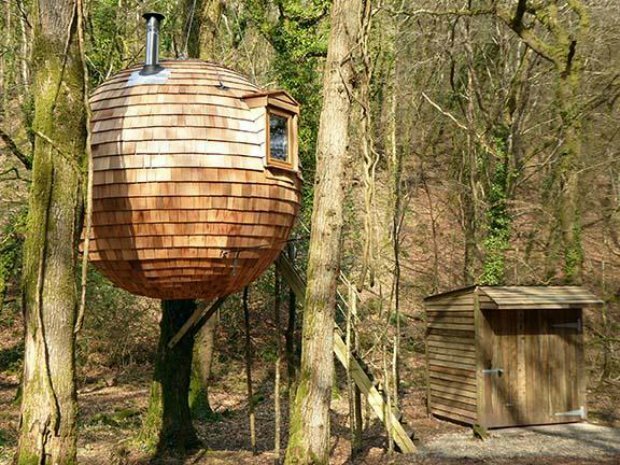 When the sun’s out, open up the double-glazed window to give panoramic views through the trees and down over the river – you have 20 acres to roam and explore shared only with the Warleggan Wagon guests (or some of your friends if you book the two together!) 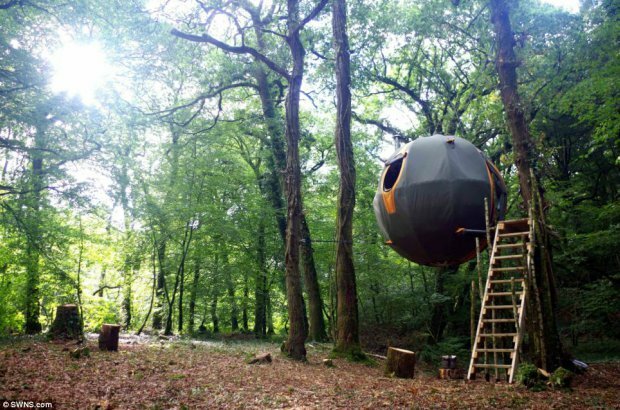 – and for even more open air relaxation, take a nap in the hammock in your ground-level camp – if you’re really quiet, you might get to see a kingfisher diving over the water. 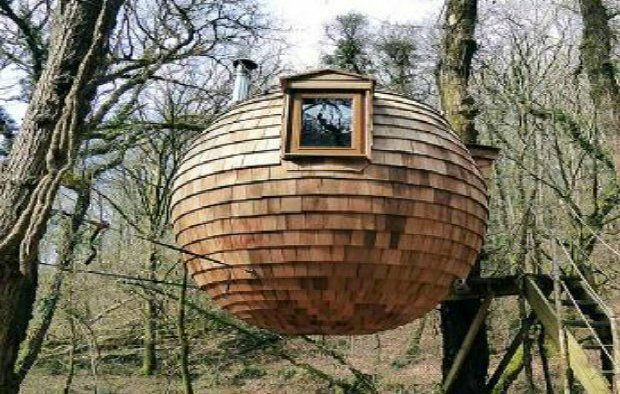 In fact, although it’s very impressive, the treepod itself is only the start of your woodland adventure.